Brooklyn based and LA bred, Jesse is a community builder with a passion for creating experiences that strengthen human connection. Jesse is the Founder of The Big Quiet, a mass meditation series that hosts large-scale moments of culture and wellbeing at landmarks like Central Park and at the top of World Trade Center. Jesse is also the creator of Medi Club, a purpose-driven community of thousands of people that come together to meditate and have real-talk conversations. 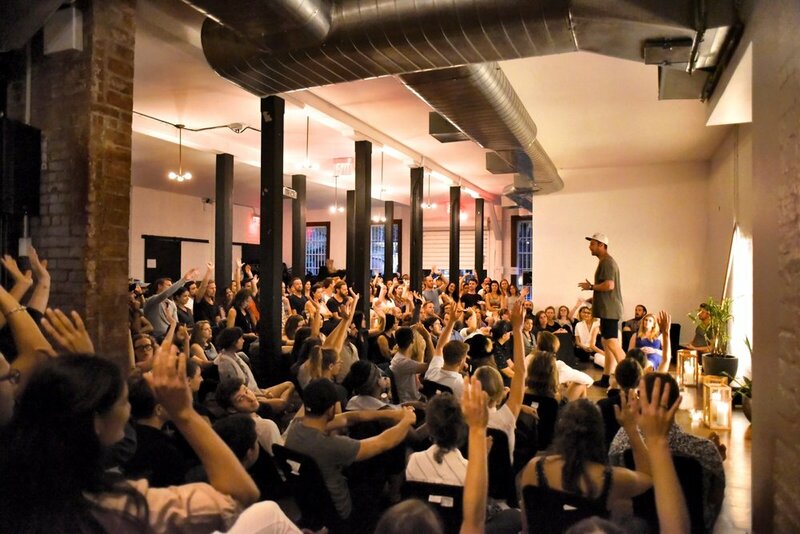 Jesse speaks about community and connection at Fortune 500 companies, has lead mass meditations at corporations like Google, Adidas and Marriott and has consulted for organizations like Sweetgreen and MNDFL. Jesse’s work has been covered by the New York Times, Vice, Fast Company, Vogue, TIME and on ABC News. According to the Wall Street Journal, Jesse is "rebranding meditation for Millennials." In 2016, Sonima named Jesse one of "50 Innovators Shaping the Future of Wellness." From 2005-2014, Jesse was a co-founder at Cantora, a record label turned venture fund where he signed bands like MGMT and Francis and the Lights, advised The Wu Tang Clang's GZA, worked with Frank Sinatra Enterprises and invested in early stage startups. Jesse loves hard tacos, road-trips and riding with his bike club, the Cyclones.